“We’re brewers whose substantial mettle and idiomatic approach to brewing allows us to consistently create works of art such as this justifiably self-righteous black IPA. Its bitterness hits our sweet spot. Its blackness lightens our hearts. Its liquid dichotomy pulls it all together in this sublimely sacrosanct ale. Yes, we damn well know our stuff here at Stone, and it would be irresponsible of us not to acknowledge how remarkable this heavenly creation of ours is. 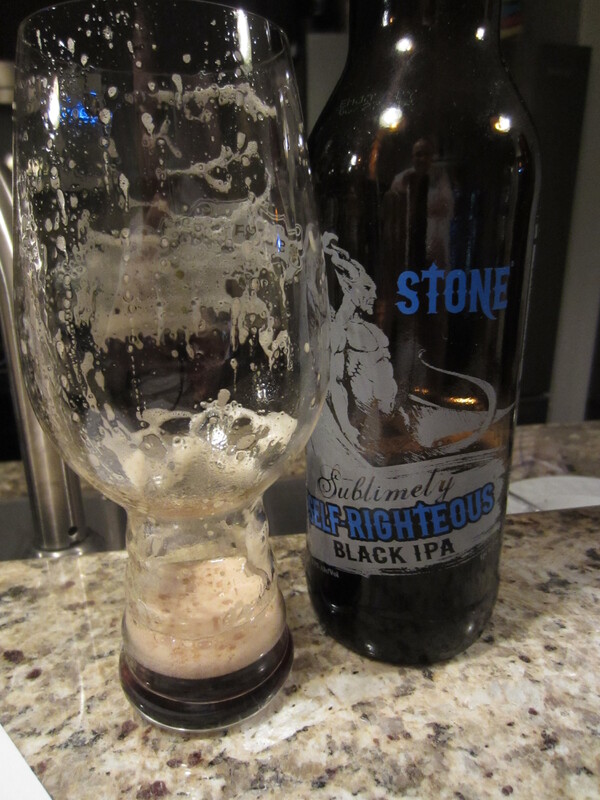 Thus the name we are compelled to give it — Stone Sublimely Self-Righteous Black IPA — serves as a reminder of just how good we are, in both liquid and verbal form. We’re certainly not perfect. Too often, we allow our modesty to get the best of us as we’re simply not inclined towards senseless braggadocio. When you’re good, you’re good. And when you do something great, the least you can do is acknowledge it. Others benefit from knowing. 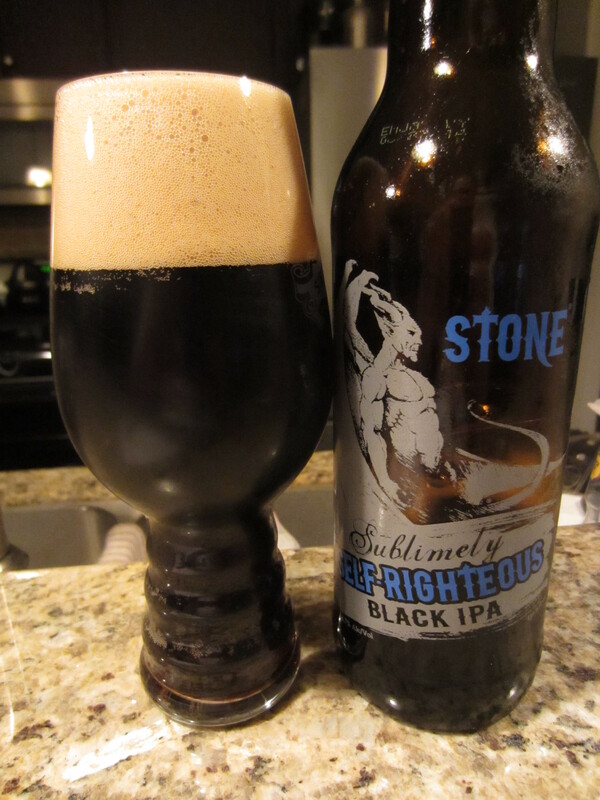 In this case, we find that we are compelled to point out how amazing this ale is that we rightly call the Stone Sublimely Self-Righteous Ale. Given to me as a housewarming gift. Poured from a 22 oz bomber into my Spiegelau IPA glass. 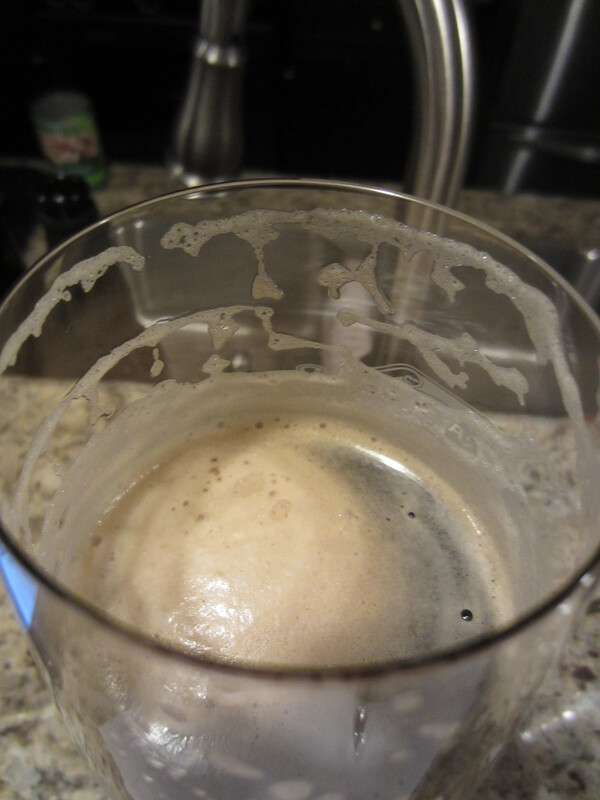 The beer pours nearly solid black, with just a bit of brownish-red cola around the edges. A large brown and sudsy head is poured, which leaves heavy lacing on the glass. 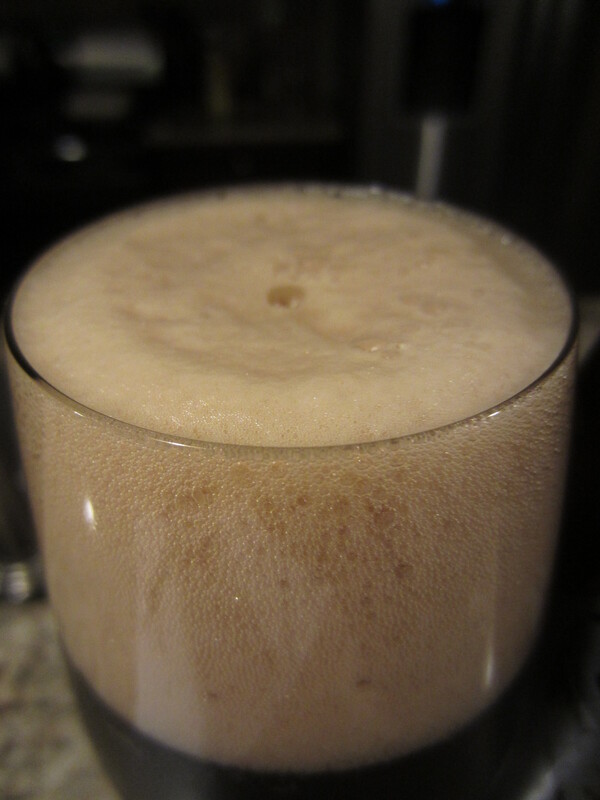 Little carbonation can be seen. Dank, resinous, piney hops totally dominate the aromas. Mild roasted character is also presented, but the hops are so strong they don’t let much else come through. 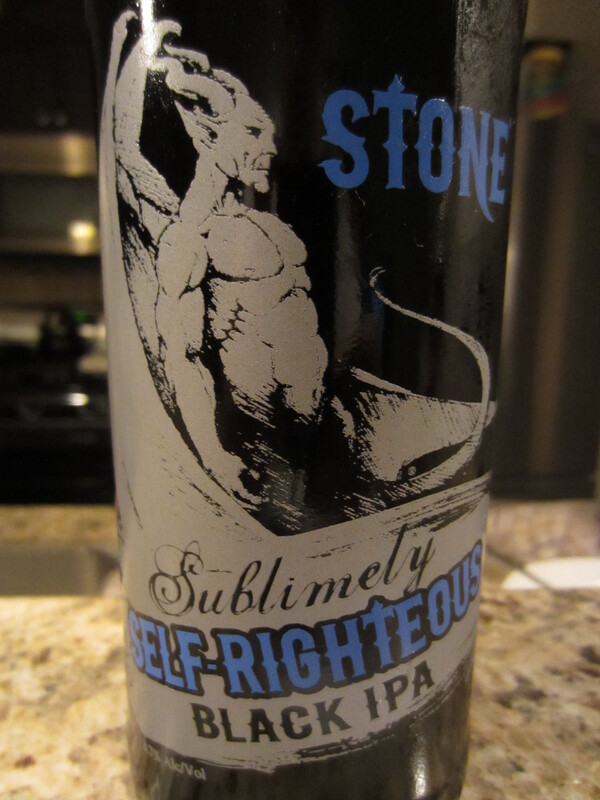 Sublimely Self-Righteous has a medium-thick body, with moderate carbonation that doesn’t distract from a surprisingly smooth mouthfeel before the hops kick in. The flavors follow the aromas similarly; tons of sticky, dark, thick, piney hop dank that is just delightful. A faint touch of roasted barley/coffee, dark chocolate, and smokiness tries to come through, but the hops are just so damn strong. Heavy bitterness as it finishes leads to lingering piney and grapefruit hop flavors. The color of this IPA matches the profile; a dark, dank, sticky, resinous hoppy dream. I’ve had other Black IPA’s before, but nothing quite like this. Others seems to be more like overly hopped porters, whereas this is an IPA first and foremost. And it is presented in a darkly complex and unapologetic way. Deliciously dank! 9/10!